Mamma went to visit a farm one day. She saw a park along the way - and what did you think she heard it say? FUN, FUN, FUN! The All Abilities Playspace right next door to Bundoora Park Farm is of course, a farm themed adventure! The tractors, the water tank slide, the wobbly sheep and cows are all at home in the park that is designed to be inclusive. There is a great spinning merry-go-round that doesn't have any steps up and at ground level. The slide is a hill climb style making it perfect for crawlers. And there is a huge sand pit with heaps of room to share. There is water play feature which was out of action last time we were there but makes it awesome for sticking those sandcastles together. Bubs is a big fan of a maze and be sure to search out the horse inside. Besides all this greatness, the BEST thing - a cafe next door! They will even bring out your coffee if you choose to sit at a table by the door. 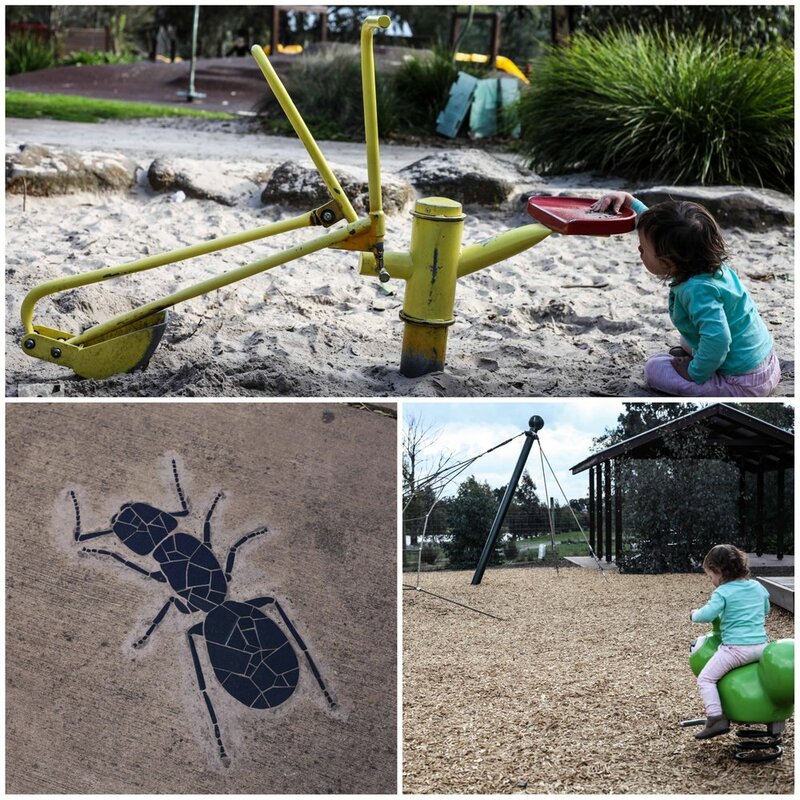 Mamma's special mention: Next door is Bundoora Park Farm and is a BRILLIANT space for the whole family. Check out more brilliant activities in - best outside the east. Plus plenty more parks and playgrounds in the east.